Earn academic credit through the department of your major while building your media resume. Students of junior and senior status are eligible for earning academic credit as interns working for our student publications. Our greatest need is for reporters, photographers, and copy editors for The Seahawk newspaper, and for advertising sales consultants. 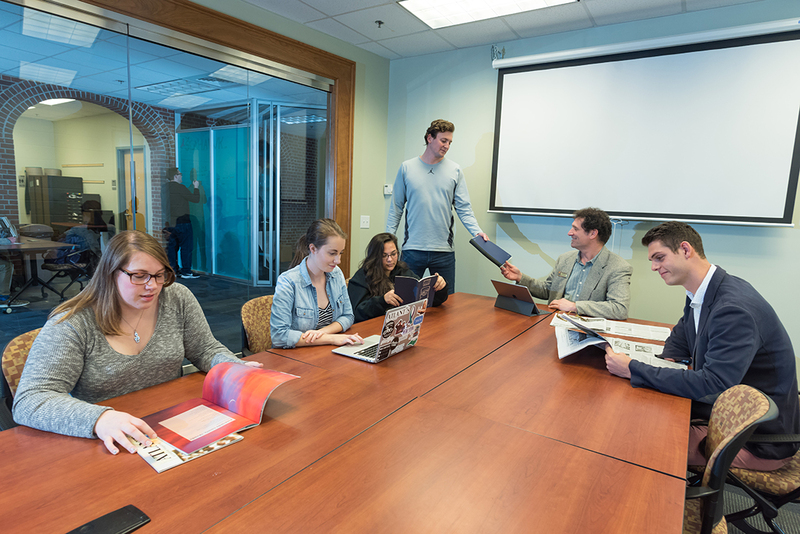 Some departments allow for campus internships to be repeated once, provided that the intern takes on new responsibilities that provide new learning. Contact your department's internship coordinator for specific guidelines and departmental requirements. Common "feeder" departments for Student Media interns include Communication Studies, Creative Writing, and English, although any relevant course of study may be possible. Bill DiNome, assistant director for UNCW Student Media, 910.962.7138, or dinomew@uncw.edu.